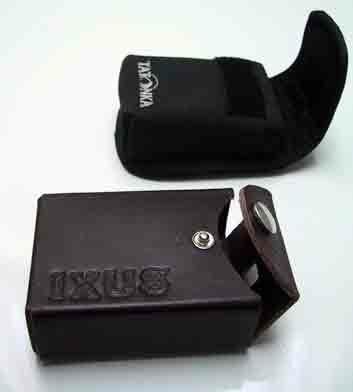 Of how I crafted a leather case for my digital IXUS. For years I carried the camera in my pocket around, without any protection, but always with a bad conscience and afraid it could take some harm. It actually never took any real damage. There are of course some scratches in the stainless steel case as well as a small dark spot in the view-finder. I was never that worried – after all, most mobile phones survive pretty well in pockets. Right when I got the IXUS, I thought about ordering the official stainless steel case from canon for a while, up until I informed myself about the price. Then, years later, I dropped over some sites describing techniques to form and to process leather into medieval and antique body armors. Suddenly I felt the urge to try myself in some craftsmanlike leather-action. A very basic leather bag – just complex enough to give me some feeling for the material. Getting the raw-material: I outsourced the killing and stropping of the cow, as well as the tanning of the leather, to the pros and bought a nice patch of brown leather for a fair prize at Grisu, a small local craftsman and dealer in jewelry and leather-gods. 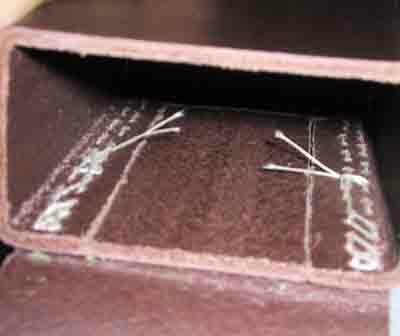 It was the strongest kind of leather available with a thickness of about 3mm. Tools: our basement is very well outfitted with all kind of tools for all kind of tasks and there even is a drawer with only leather tools. Kudos to my dad. The next step was to measure the dimensions of the camera and order a wooden block of the same size from my woodworking dad as a form/pattern for further work. So basically the "secret" - which is none - of bringing leather into shape, is to soak it wet, bring it into the desired shape and let it dry. So for good results, you definitely need the shape of your target form in order to attach the leather to and let it dry. The wet leather is easily shaped, the dry leather is harder than before. Those body-armor building people on the net mentioned, that in order to make the leather really firm and sturdy, one would dry it faster with a hair drier or even an oven. Basically, the faster, one dries it, the stiffer (and more brittle) it gets. 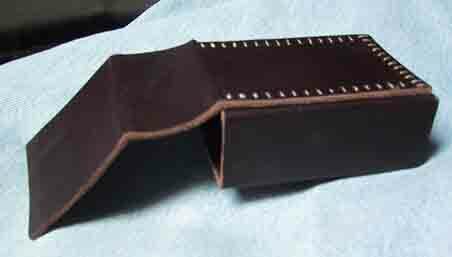 Another way to enhance and strengthen your leather products is to soak it in hot wax. I did not go that far. I just wanted it to stay in shape and still be kind of flexible and tender. Sometime during my creation process my dad bought me a commercial bag out of synthetic fabric, made in some vietnamese sweatshop. That brought my motivation to a rapid halt for quite a while. It took quite some time until I disciplined myself to finish, what I started. The sewing at hard to reach places was kind of tough, but the result is very rewarding. The seam can be used for decoration, but if you want to save yourself some work, optimize your design for less seams. 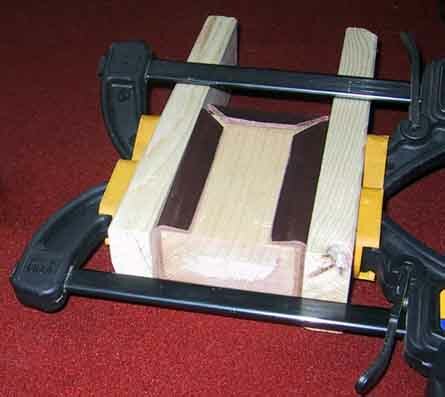 The finishing moves with the knob or the imprintings where standard of the shelf procedures. I sealed the oen surfaces from cuts with leather grease. The result got kind of crude and rough. The douple seam I did will definitely outlast any digital camera I shall buy in the next fifty years. Oh the irony. Don't rush it. Most work on the leather is permanent. Get yourself a comfortable workplace and some fine music. Think about following processing steps, when doing something. It is probably a good idea to make a prototype of your object out of thick paper or plastic foil before starting. Don't expect perfect results on your first piece. Think about another small project so you can practise some of the techniques before doing the real work. 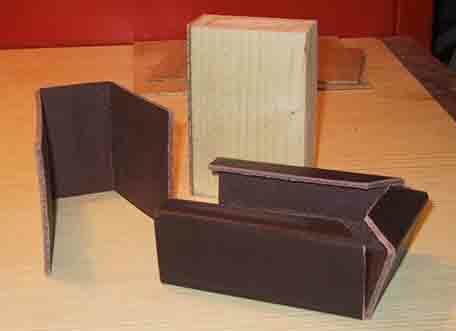 When forming the wet leather and keeping it in place with clamps and wood, use absolutely flat pieces of wood, probably coated with plastic. If you take natural wood with structure, you will get the structure permanently imprinted in the wood. The parts the were formed with the wooden shape. I made the error of using natural wood with a structure, which imprinted itself on the outside of the leather. The two shaped parts before they were sewed together. The seam should withstand the next centuries. Because of the different position of the seam, the bought bag is a little bit broader and longer. My bag is little bit higher. 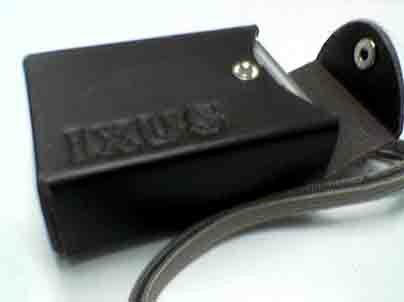 The IXUS in the bag. Courtesy of my mobile phone. One of my professors told me how a group of surveyors went to Australia with their instruments kept in wooden storage cases. But australian law forbids any natural materials like wood or leather to be brought into the country. Down under they fear the import of foreign animals throwing the local flora and fauna out of balance. The surveyors left their cases at the customs entry. I envision myself leaving a small leather case behind when visiting Australia. I have a compass, which is still stored inside the cardboard box it came in. I see a new project coming up.